Many kinds of grapes have existed in California since the late 18th century. The first vineyards dotting the California landscape were of grapes brought by missionaries from Mexico, becoming known as the "mission grape." And, as early as 1817, Russian settlers on the Sonoma Coast planted Palomino grapes imported from Peru. These grapes grew well, but they did not produce the extraordinary wine we associate with California today. This changed gradually after California joined the US in 1848. During the 1850s, several pioneering vineyardists brought noteworthy varieties like Riesling and Cabernet Sauvignon to the state. While this was a significant milestone in the history of California's viticulture, it was nothing compared to what Buena Vista and its colorful founder would do. Self proclaimed "The Count of Buena Vista," Agoston Haraszthy de Mokesa was a vivacious pioneer whose love affair with grape-growing started in his homeland of Hungary. Born into a wealthy, land-owning family, The Count grew up amidst famed vineyards and orchards that had been in his family for centuries. Like other intriguing tales that surround him, exactly why The Count emigrated from Europe is unknown. Some say wanderlust, some say political exile. Regardless, in 1840 Agoston Haraszthy set sail for America, where he chose to settle with his family in Wisconsin. He founded the town of "Szepataj," now Sauk City, developing roads, bridges, a sawmill, a gristmill and even introducing a steamboat line. A skilled lover of all agriculture, The Count was extremely successful with many of his crops. He was the first to plant hops in Wisconsin—which grew in abundance—thus planting roots for the American beer industry. He also tried growing his treasured grapes, but the harsh winters of Wisconsin proved problematic and he conceded that he would have to go elsewhere to pursue his real love of grape-growing. Following Spain's conquest of the Aztec civilization in 1521, New Spain, a territory that encompassed today's Mexico and much of Central America, was created. Then in the late 18th and early 19th centuries, Spanish missionaries founded a legion of significant missions, towns and forts along the rugged Pacific Coast region—known as Alta California. During this same time, European pioneers and trappers continued to explore and map this remote territory, developing important trails and outposts throughout the region. Mexico won its independence from Spain in 1821 following the Mexican War of Independence, and Alta California, Mexico's most northern and remote province, became dotted with cattle ranchos and farms. By the 1840s the California territory, teeming with frontiersman and settlers, was simmering with political flux—and rumors of gold. Knowing war with Mexico was imminent, a small group of American settlers rode to Sonoma and proclaimed a "California Republic" in 1846. On the Sonoma plaza they raised the now famous Bear Flag, with its grizzly bear and a single star. This notorious Bear Flag Revolt took place on the Sonoma Square—just miles from where Buena Vista winery would soon be established. No government was established on that momentous day, but the colorful event lives on as part California's dramatic history. In 1848, California became American territory after the Mexican American War, and the 31st state in 1850. Mariano Vallejo, the Mexican military commander of northern California, lived in Sonoma and looked with favor on an American California. After the start of the revolt, he surrendered gallantly to the "Bears" and later even donated land for what would become one of the state's early capitals - the city of Vallejo. Then the California Gold Rush hit. Chasing after the riches of the West with the same zeal as thousands of frenzied forty-niners, The Count quickly journeyed to California. But he wasn't after gold. Settling in San Diego in 1849, The Count, with a continued flair for accomplishment, became the first sheriff, then marshal, of San Diego and eventually rose to the California State Assembly. More importantly he continued his vineyard attempts in Mission Valley. But once again, the vineyard conditions were not to his standards or expectations, which is why, determined to find the perfect location for making superb wine, he would relocate further north. In 1852 Haraszthy headed north as a member of the state legislature. He purchased 120 acres near the old mission in San Francisco and later acquired a larger piece of land to the south in San Mateo County. In both locales, however, he discovered that the constant coastal fog was not conducive to grape-growing. While in San Francisco, with the Gold Rush exploding in the Sierras, The Count continued with various pursuits and occupations. As a metallurgist he assessed gold arriving in San Francisco from the lucky strikers. He became a smelter and then the first Chief Assayer of the San Francisco Mint, where he was surrounded by scandalous rumors and charges of missing gold and embezzlement. The charges were dropped, but he became a household name which, when combined with his innocence, would later proved invaluable. Throughout this exciting era, The Count never stopped dreaming of "purple gold." He was absolutely certain that superb grapes could be grown in California, and in 1856 he set his sights on Sonoma—a place already in the history books following the Bear Flag Revolt. He acquired 800 acres just outside of town, after being impressed by an old, dry-farmed vineyard on the site. On what was already known as Buena Vista Ranch, the Count constructed an elaborate home and a beautiful stone winery, and planted his first Sonoma vineyards. Just as we know today, The Count understood that great wine comes not only from great grapes, but also from great terroir—that magical combination of all the attributes of a particular site required to create remarkable wines—from the soil, to the climate, to the site's exposure to the sun, to the vine itself. Upon first experiencing Sonoma, The Count knew immediately that this was going to be that perfect place for producing superb wines. Sonoma's sun-soaked lands are protected from fog and rain by the Sonoma Mountains to the west—and yet cooled by the sweet breezes from the San Pablo Bay to the south at night. Its climate combined with fertile, valley-floor soils and rocky, well-drained hillside vineyards makes Sonoma's diverse terroir an ideal location for world-class vineyards. Knowing he had struck his purple gold in Sonoma, The Count finally established his winery in 1857, producing 6,500 gallons in the first vintage. Buena Vista continued to grow and expand and by 1860, more than 250 acres of vines had been planted. The Count's passion also inspired many others to take up winegrowing in Sonoma. One of the more notable was Charles Krug, a friend from San Francisco, who purchased land from Haraszthy and also began planting vines. Krug later moved to the Napa Valley, crushing his first grapes on a press borrowed from Buena Vista and pioneering winegrowing in that equally famous valley. Buena Vista became The Count's viniculture laboratory. He constantly innovated and experimented with blends, techniques and viticultural practices, including dry-farming, hillside planting, tightly-spaced vines, and techniques to limit yields in order to increase concentration and flavor. He constructed the first gravity-flow winery in California and in the surrounding hills, he excavated Sonoma's first caves for aging and storing wine with the aide of Chinese laborers, whose virtues he extolled. He is also credited with being the first to experiment with Redwood barrels for aging and fermenting, an adaptation of traditional European oak barrels that employed the resources of the local forests. With evangelistic zeal, Haraszthy was a pioneering force in the growth of the California wine industry. He promoted California grape-growing at every chance possible—selling rooted vines and cuttings, writing papers, pleading with his friends to invest and winning wide acclaim for the breadth and quality of his Buena Vista wines. In speeches at state and county fairs, he suggested the formation of a state agricultural school and the development of a viticultural nursery that would propagate and distribute vines to vintners across the state. He also predicted that "wine-growing in this State will, before long, exceed in value the amount of gold exported." He was truly a visionary man. Then came The Count's famous wine expedition to Europe. 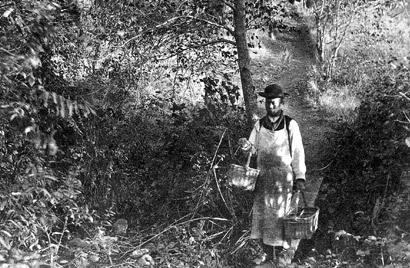 In 1861 he persuaded the state to sponsor a tour of continental Europe to study and report on European methods in order to improve California viniculture. He believed that his most impactful contribution to California winemaking would be to help expand the quality and diversity of vines grown, and encourage winemakers to experiment with the best combinations of vineyard, vine and rootstock to find the best fit for their site. The Count, along with his son Arpad, who had been studying in Champagne, scoured Europe's best wine regions—even crossing the Alps on mule—exploring numerous vineyards, interviewing dozens of esteemed wine connoisseurs and collecting hundreds of vines. Following their extensive journey throughout France, Germany, Italy, Spain and Switzerland, he and Arpad returned to Sonoma with thousands of vines and samples, representing over 487 varieties—many of which were soon planted throughout the Buena Vista vineyards. As a result The Count is credited with inspiring California's winemakers to focus on improving viticulture and to plant premium vines for creating remarkable California wines. Arpad would later go on to produce Eclipse, California's first successful Methode Champenoise wine. When The Count returned, it was to a nation embroiled in the Civil War and the State of California refused to reimburse him for his travels or the vines he collected. Nevertheless, The Count forged on. Capitalizing on the learnings from his trip to Europe, he authored an acclaimed book on horticulture and winemaking entitled "Grape Culture: Wines, and Wine-making, with Notes Upon Agriculture and Horticulture" (New York: Harper 1862). This volume quickly became an essential handbook for many California vintners, cementing both The Count as a premier wine-making pioneer and Sonoma as America's premier wine region. That same year he was elected president of the California State Agricultural Society. By the late 1850s, California, an incredible gold mine of opportunity, was attracting thousands of new residents from across the country—and its attractive reputation as a successful wine region was also gaining importance—well beyond just table grapes and juices. Vineyards and wineries began to spring up throughout the state—with more than 10 million vines already planted. Interestingly his two sons, Arpad and Attila, married General Vallejo's daughters, uniting two of early California's most prominent families; families deeply invested in California's vinous future. The Count's next chapter would continue to chart the future of California's wine industry. The Buena Vista Vinicultural Society (BVVS) was established in 1863. It was the first of its kind—a corporation dedicated to expanding and modernizing winemaking. Created in partnership with prominent San Francisco investment bankers and through a cleverly drafted legislative amendment, this society was allowed exception to the law prohibiting a corporation from owning more than 1,444 acres of farmland. The Count received significant shares of this new corporation, allowing him to continue expanding the winery—even in the face of ongoing financial challenges. Although the BVVS faced many setbacks and hurdles, its first year proved successful. In fact the society was instrumental in continuing the expansion of both Sonoma viticulture and the Buena Vista Winery, which by now was producing record amounts of wine. The historic Press House, the winery's tasting room today, was completed in 1862, and the winery cellars in 1864. Unfortunately his grand ambitions for the future of the wine industry far exceeded the demand for California wine at the time and Agoston Haraszthy de Mokesa, the insatiable Count of Buena Vista, was ultimately forced out by his own investors. He left his prized winery for a completely different adventure. In 1868 he set out for Nicaragua to explore sugar growing and rum production. In 1869, the brilliant, yet flamboyant life of The Count ended abruptly when he fell from a tree branch while crossing an alligator-infested stream. He was never seen or heard from again. Back in Sonoma, widespread phylloxera, a pest that causes terrible parasitic root disease, ravaged vineyards throughout California. But despite having lost its visionary founder and now battling to overcome the devastating plague, Buena Vista continued to produce outstanding wines and developed a reputation of excellence throughout the world. In 1873 alone, Buena Vista received numerous winemaking accolades and awards in London, Vienna, Antwerp, Australia, Chile, Japan and even Paris. Despite this incredible success, Buena Vista and its renowned Vinicultural Society battled mounting financial pressures and the devastating spread of phylloxera before finally ceasing production. It was not until much later—in the 1940s, following prohibition—that Buena Vista would again be reborn. In 1878 the Buena Vista Vinicultural Society auctioned off the entire estate and the winery that The Count had lovingly created. Robert and Kate Johnson purchased it and constructed a luxurious mansion on the property, which they referred to as The Castle. Uninterested with continuing winegrowing, the wealthy and eccentric couple became well known collectors of fine art. It was their eye for beauty and architecture that encouraged them to keep Buena Vista's great press house and winery for future generations. Eventually the widow donated The Castle to the Catholic Church, where it was planned to be converted into a hospital for disadvantaged women and children. The hospital was never established and the property fell under authority of the State of California, where it sat abandoned and unloved for over 20 years. Despite this period of dormancy, the true glory of Buena Vista would not be silenced forever. Prohibition hit the United States in the 1920s and extended into the 1930s, banning the production, transportation and sale of alcoholic beverages. This devastated California's wine industry, although some wineries continued to legally produce wine for 'sacramental and medicinal purposes.' When prohibition was finally repealed in 1933, the wine industry was in near ruins. Production had fallen over 90% and fewer than 200 of California's original 700 wineries were still in existence. But the resilient California wine community immediately began rebuilding. That following year, at the urging of many vintners, The Wine Institute was created to support California's wine industry. In 1935, the University of California Department of Viticulture and Enology moved from Berkeley to Davis where it was dedicated to the study and advancement of grape growing and wine, realizing an early dream of The Count. In 1943, Frank and Antonia Bartholomew purchased the long-neglected Buena Vista property—sight unseen. While the Bartholomews loved the location, they knew not what they had purchased. It was later that they learned their new home was, in fact, the famed Buena Vista Winery. They loved the pedigree of the old winery and immediately set out renovating its buildings and replanting its vines. With the onset of the war, Frank, who was a journalist with the United Press, left to cover the fighting in the Pacific, leaving Antonia to continue restoring the grandeur of the incredible Buena Vista estate. When the war ended, Frank returned, along with his friend, famed winemaker André Tchelistcheff, and together they immediately began producing world-class wines. The winery released its first post-Prohibition vintage in 1949. It was hugely successful. Buena Vista Winery was back. Buena Vista's legacy of innovation and leadership continued with Tchelistcheff, one of California's most famed winemakers known for introducing amazing new winemaking techniques to the state—including cold fermentation and the process of aging wine in small French oak barrels—thereby once again contributing to the rebirth of California's incredible wine industry. In the decades to follow, the California wine scene would finally emerge as a significant force while Buena Vista would continue its own march forward through various owners—both family and corporate. By the early 1970s, the quality of California wines was outstanding, but few took notice. That changed on May 24, 1976, when a blind tasting was conducted by French wine experts in Paris. Known as the 1976 Judgment of Paris, the French judges tested white and red varietals from both France and California. Surprising everyone, they selected 6 California whites in the top 10 and 6 California reds in the top 10. California's victory shocked the judges—and all of France—and made wine enthusiasts around the world take note of California's exquisite wines. The same red wines were again tested in 1986 in two separate blind tastings (the French Culinary Institute Wine Tasting and the Wine Spectator Wine Tasting) as well as in The Wine Rematch of the Century. In each of these significant rematch competitions, a California red was selected as the top wine, therefore garnering further serious respect. While Buena Vista's wines were not part of the tasting, the attention placed on California winemaking had an immense impact on all vintners across the state. And Buena Vista's long and colorful history continues. In recent years, Buena Vista has continued to champion grape-growing in the now renowned Carneros AVA. The historic Press House has been rejuvenated into a must-see destination—and has been designated a California Historic Landmark. In 2007, Agoston Haraszthy de Mokesa (1812-1869), the eccentric Count of Buena Vista and California's foremost grape protagonist, was inducted into the Culinary Institute of America's Vintners Hall of Fame, where he joined the ranks of many other world-class vintners. In 2011, Buena Vista became part of Boisset Family Estates, a renowned and charismatic family with a collection of historic wineries and roots in Burgundy, France. The family, led in the US by Jean-Charles Boisset, possesses a true love and respect for Buena Vista—its unrivaled heritage, authentic roots, colorful history, and renowned wines. Boisset is passionately committed to its 'partnership with The Count'—to continue the vision and legacy he first created 150 years ago. Please join us in celebrating the rebirth of Buena Vista. Our colorful history. Our spectacular wines. Our extraordinary experience at our breathtaking estate. Our future. Buena Vista. Our future is in our history—our rich, colorful and eccentric past.